A new playership, it has original graphics created in doga L3, and is equipped with a unique action that places a line of targeting reticules on the screen for better aiming. 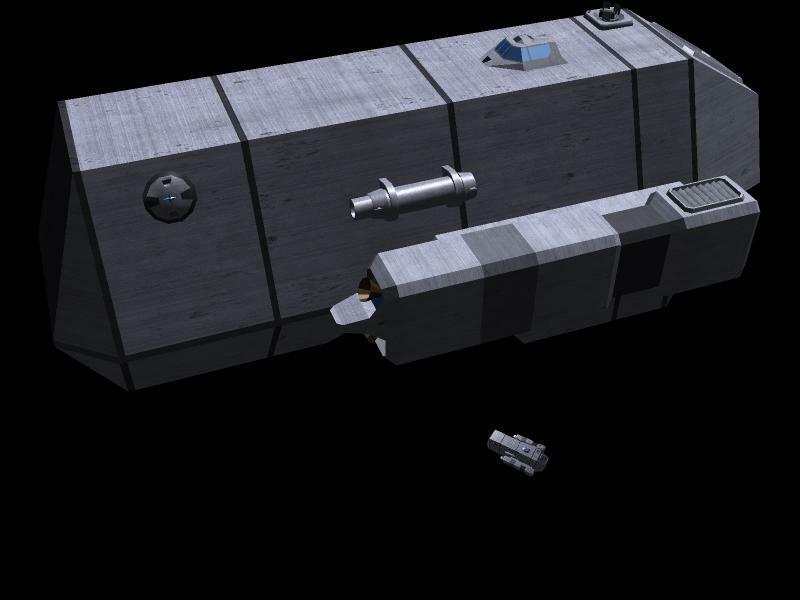 It's a light freighter, faster than the ei500, but lighter and unable to mount as much armor or carry as much, it can have 3 weapons over the ei500's 2, and is more maneuverable. the image was originally a heavier freighter, so it may be a bit too big on the screen, and it uses a dual laser cannon rather than the standard omni. I like your design there! Maybe I will put up a gallery, I do have plenty of ship graphics not doing anything right now, though I don't have time now to balance them all, or a reasonably permanent image host. Look for the big bold "Download" just above the comments, I can see it.